Some of the best 1920’s and 30’s graphic images were created for cosmetic and perfume packaging, for match boxes and for fruit crates. 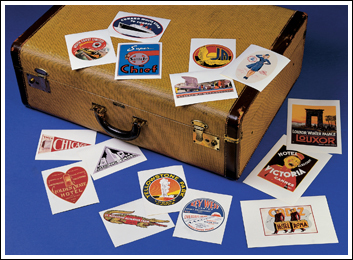 And finally, jazz up your Christmas and Valentine cards and packages with these holiday stickers. The images (over 30 per box) come from 1920’s and 30’s greeting cards and gift tags.